Continuing with the "Priced to Sit" theme, I decided to check out another hotbed of flipper activity: Elk Grove. Over 10% of all flipper activity in Sacramento County is taking place in Elk Grove, and house building continues unabated. 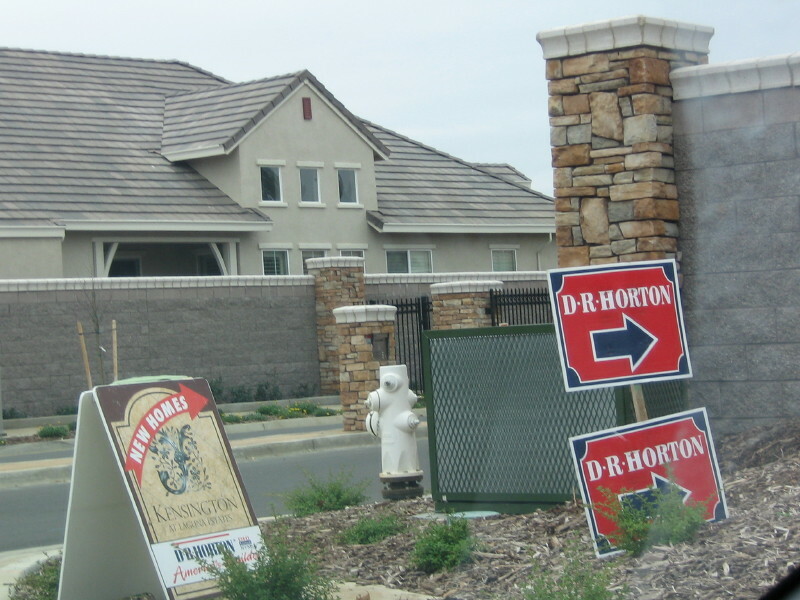 One major builder is DR Horton, who has 46 major developments underway in Northern California, including five in Elk Grove alone. Resale activity within the Laguna Estates development cluster. 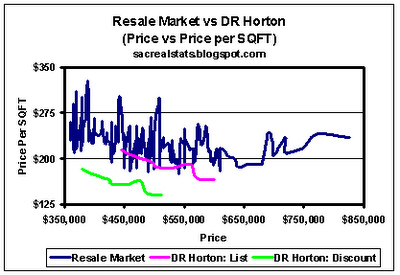 Large dots represent asking price changes. Here again, we see a builder using their superior market position to keep 152 resellers struggling. Using the discounted price assumption, there are 53 resale houses priced higher than the highest DR Horton house, and not one resale house is priced to comp. Excellent analysis. These are some seriously super-f#@ked-over FBs. "I just buy on a housing in Sacramento, winning on two other people. I don't to pay more than asking cost, and seller buy closing monies. I think this tells that market is still nice because there are many interest. And, no guys are making more of the land. The buying will be flat for a short and then go back in a normal market make 4-6% increase per year, which is should make 20,000 profits for me in this one time. Brother make more, but ok since only making 40K in each year! I dream to tapping deathed equity and making upgrade on granite and toilets. I'm not knowing why peoples worried about house home bubble. It saying- only fear is to fearing the fear- and so newpapers is the worse problem for the home housing. If news let everyone to be alone to doing their working and buying it all of them can get the America dream! -From Armin Alleg"
Great analysis Max. Looks like the builders are still driving this train wreck. Can you tell us which application you use to create these great maps (e.g., http://photos1.blogger.com/blogger2/6768/3450/1600/ge_map.0.png)?? I use Google Earth. Very nice interface. This is definately good analysis. My question is: at what point do the existing home sellers start lowering their prices to compete with the builders? I'm also curious how/when sellers of existing older homes will price their properties in relation to new/newer homes. 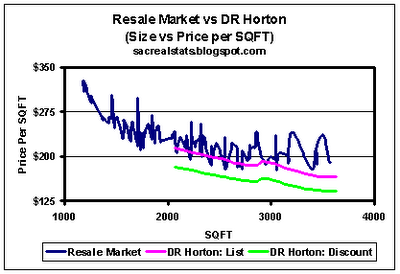 Guess what - DRHorton slashed their 2300 sqft price by ~120K+. last week they had slashed them ~80K. 1 week and 40K under if you caught the best deal last week. They also have a flyer that says 123 houses sold in 2 weeks. I guess those 123 are now out 40K each if they close ... of course if they dont close - they'd have 123 more house to sell next week. 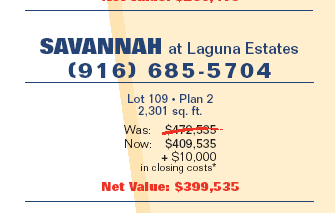 can someone see a further 80K slash ... clear into the $100 a sqft there - and guess what ... over priced at a 100 IMHO. anyone know all the options you can get from new builder now in this housing economy? i'd like to know if finished back yard, appliances, HOA/mello fees, crown moulding, etc, is all included now in the pricing? what should i be asking for? builders have so much standing inventory killing them, you could and should ask for it all. the caveat is that this is true only for hard incentives and not soft (e.g. touch and feel versus financing and hoa/mello). go drive around a subdivision you're interested in, and find completed, unsold homes. these will typically have fallen out of escrow, rather than being spec homes. if a builder can break even on standing inventory in this market, they WILL sell. 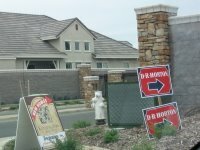 dead giveaways to excess standing inventory are huge signs that say, "23 model homes available for viewing" (west sacramento- i almost peed myself laughing when i saw this creative use of the term "model home"), "quick move-in specials this weekend only" (roseville- like they're going to tear the homes down if no one buys on the "sale" weekend). as a general methodology, find a nicely amenitized house you like (upgrades, landscaping), go on the company's website and see how much the base price for the model you saw is (web prices are almost always base prices- i.e., no options/upgrades), take 10% off, and use that as the starting pricepoint in evaluating the upgraded house. discount will vary from builder to builder (publics tend to be truer to published pricing than locals like jts who inflate asking price and slash and burn from there). also, pricing sheets available at the subdivision will often highlight standing inventory that has been deeply discounted to sell asap. hold firm if you have to, although this is doubtful since lots of agents have been threatened with their jobs if they don't pull in some sales, and good luck!